Most children's feet are flat, do not hurt and are not deformed; they are, therefore, assumed to be "normal." Nothing could be further from the truth. Developmental flatfoot is one of the most common conditions affecting the musculoskeletal system of children and teenagers. There is a tendency for the child's flatfoot to be ignored or treated with benign neglect. The facts are that it is NOT normal, the majority of children do NOT outgrow it and there IS cause for some concern. Ligaments connect bones together. They may be strong or loose. When excessively loose the bones tend to move away from each other allowing the arch to drop or collapse. Excessive flexibility or ligamentous laxity ("double jointed") is the primary reason that flatfeet are very common in children. Bone abnormalities are an uncommon cause of developmental flatfeet but needs to be ruled out. These include tarsal coalitions, which are abnormal unions of bone in the foot. Trauma to tendons and ligamentous structures is an uncommon cause. A thorough medical history gathered by the foot and ankle specialist will rule this out. Tightness in the calf muscle may cause severe foot, ankle and leg problems. Very young children may not be able to communicate adequately as to their pain or fatigue in the legs or the feet. They may constantly prefer to be carried by a parent during normal walking. Parents often think they are lazy. Leg or calf pain and spasms may be present especially at night. Premature fatigue in the legs or feet while walking or during sports participation. Leg, ankle and arch pain most often located. toward the inside of the lower leg. The muscles are attempting to stabilize the foot. After a short period of time they fail and pain develops. Pain just below the knee on the inside of the upper leg. This is often seen together with children who are knock-kneed. Back pain with walking and activity. (It is not always the knapsack on their back). The arch may appear normal off weightbearing but when standing the arch may be significantly lowered or totally collapsed. The arch may be of normal height. The front half of the foot, however, is turned out relative to the back half of the foot. When viewing the child from behind, the heel appears to be turned out and the arch bulges on the inside of the foot just below the ankle. Knock-Knees: When standing in normal position the knees almost touch each other. Bad Stance: The feet, ankles, and legs just do not appear right on gross examination when the child stands. While watching the child walk, there may be clumsiness or looseness to their gait. The feet point outward excessively and general balance appears poor. The children are generally slower and less athletic than their peers. Inactivity. Children with poor functioning or flatfeet do not keep up with other children during sports. This does not encourage them to continue with sports that require running. They will often choose more sedentary activities that will often lead to gaining weight. Before instituting treatment, a thorough history of the chief complaint, pre and postnatal history, developmental and family history are taken. A complete physical examination of the lower extremities is of utmost importance. Observation of the child's gait (walking pattern), worn shoes and occasionally radiographs (x rays) are taken. This gives us all the information necessary to make an accurate diagnosis and formulate a treatment plan. 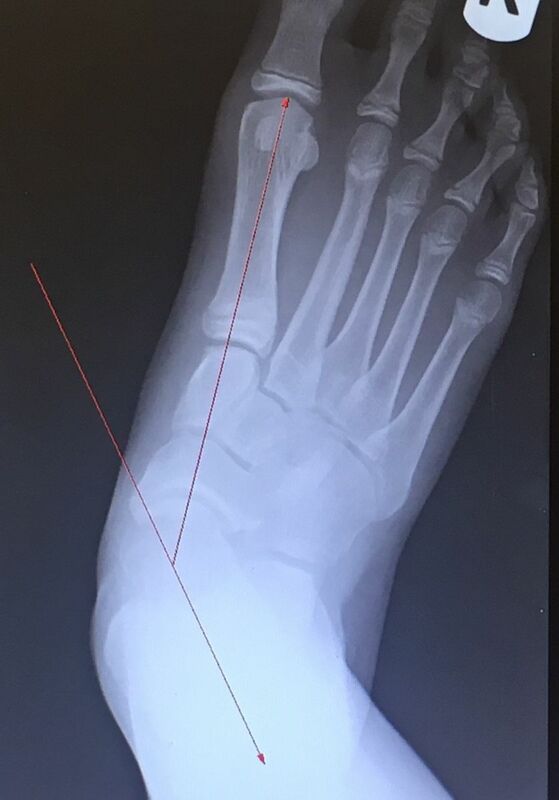 Treatment of lower extremity malalignment and the developmental flatfoot will alleviate the fatigue and pain in the child or teenager in almost all cases. This is especially true if the foot is flexible. More rigid types of feet do not respond as well. 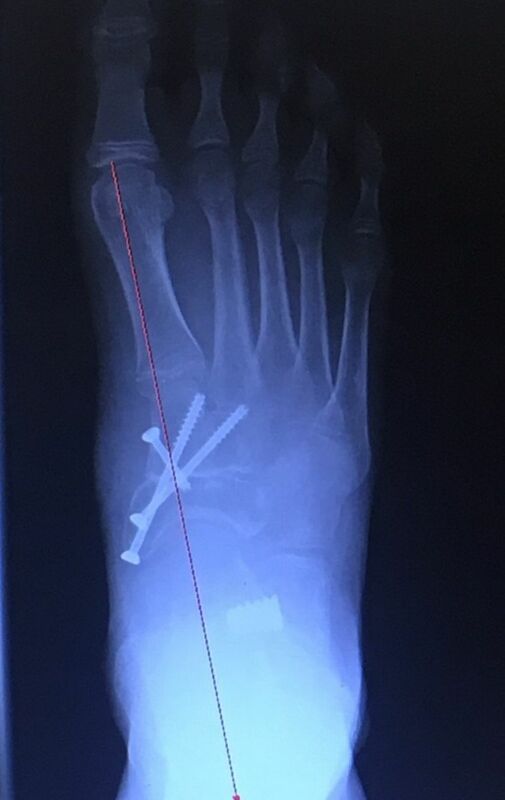 We believe mechanical instability of the foot during weightbearing activities is a substantial cause of growing pains. If the calf muscle is tight, it is critical to cast the extremity and get the normal muscle flexibility. Tightness in the calf may preclude the effectiveness of any type of treatment for the flatfoot. Casting may be necessary for 2-6 weeks depending on the degree of tightness. Many children have minimal symptoms and little deformity. An athletic shoe, not necessarily a high top, is often recommended. The heel counter of the shoe should be rigid and the sole firm. Worn out sneakers need to be quickly replaced. Children need to avoid being barefooted at all times. Treatment of painful or fatigued developmental flatfeet with orthotics (custom-molded supports for the feet) has consistently benefited children. They will often relieve strains of the foot, leg, knee, hip, and lower back. Orthotics help to realign the lower extremity. This limits abnormal or excessive movements that put the foot and leg in a poor position. If the position of the extremity is straightened, muscles are put in a better position, thus allowing them to function normally and not excessively which causes pain and fatigue. Orthotics will NOT change the structure of the foot; they will not help your child "develop an arch." They will provide significant support to the foot as glasses do for the eyes. Many types of orthotics are available. Custom molded orthotics are the best. Over- the-counter supports may be of limited benefit. A correct orthotic is made by taking an impression of the foot with plaster while holding the foot in the optimum position of function. The type of orthotics chosen is tailored to the child by taking into account a multitude of factors including gait, flexibility of arch, muscular tightness, activity and shoe gear. Overall lower extremity muscle tightness is addressed by instituting a flexibility program. This is critical for long-term success. 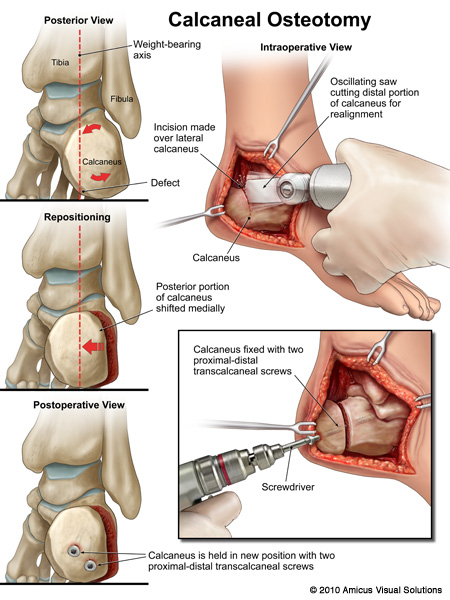 The decision to perform foot surgery is a very difficult one. 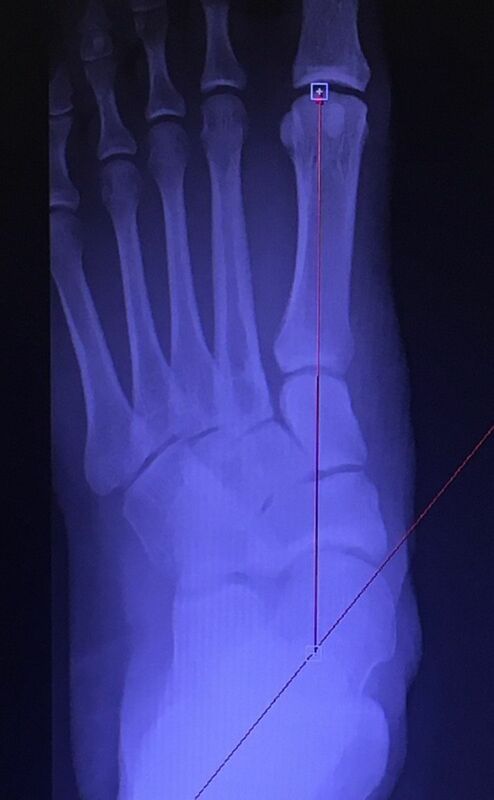 If various foot orthoses and shoes have been tried, as well as therapy and casting the extremity and all have proven to be unsuccessful, the doctor and parents may decide that surgery is in the best interest of the child. Failure to consider a surgical alternative may condemn a child with severe deformity to an adulthood of pain and suffering. Pre and postop subtalar implant. The Severity of the deformity as well as correction can be seen in the Preop Left compared to the Postop Right. This child also had bilateral Distal Tibia Epiphysiodesis Due to Ankle Valgus secondary to the severity of his flatfoot. In the images below is a child with flat feet (pes planus). One can see that at any given time the foot is completely flat on the ground with the arch completely absent. 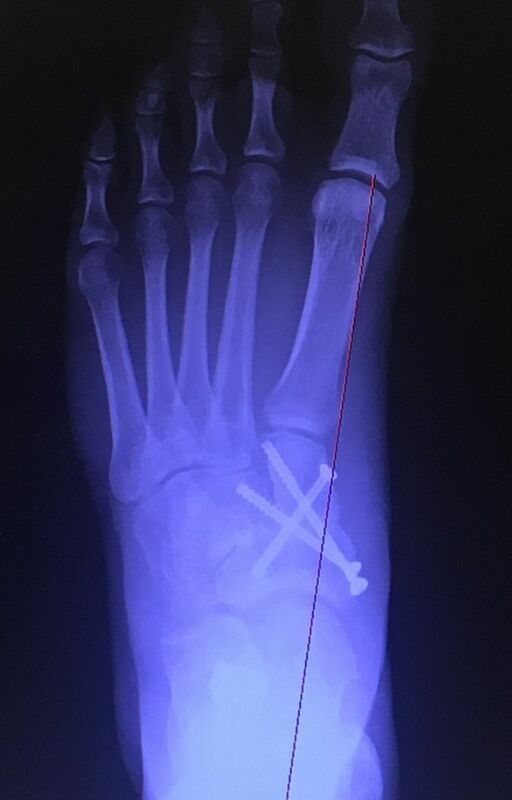 Severe flatfoot condition where the compensation for the tight musculature at the calf muscle causes the individual to turn their feet outward to be able to walk normally.